"Make her a Chinchilla. ", I replied, sounding bored. Suzanna: I squeaked. Ew! Was I a mouse or something. "Get me out of this bag, now!" "Guards. Fly her back to the reserve. ", I said to the men. 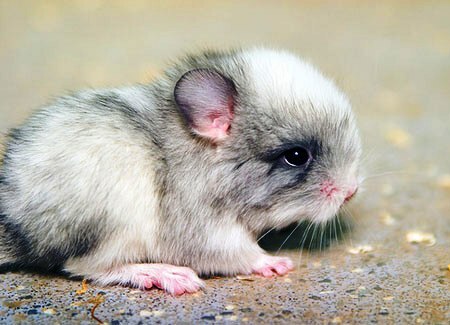 Idril looked at the chinchilla "ZOMGACHINCHILLAIALWAYSWANTEDACHINCHILLAOMGCUTENESSOVERLOAD!!!!" I stuck out my tongue, a look of disgust on my face, "What did my father turn you into? A rat?" "It's a chinchilla!" said Idril to Shijoku "Oh, God! Someone hold me!! I'm gonna have a cuteness overload!!" she said and hugged Shijoku tight. I blushed, looking directly at Suzanna. I really hope she wouldn't attack Idril. Idril released Shijoku and started smelling Suzanna "If you weren't a morpher, I would hug you! You're so cute in this form!" she said. Suzanna: I looked at Idril oddly. "Erm... okay..."
Idril started poking Suzanna "Hehe, you're fat. Or it must be your fur..."
Suzanna: I glared at Idril. "That's what every teen wants to hear." I squeaked sarcastacly(sp?). "I'm not saying you are fat! I'm saying that your chinchilla form is fat!" she said "But chinchillas are cute if they are fat!" Suzanna: "Hm. To me it sounded like you said I was fat. Ugh! I feel so helpless in this form!" I squealed. "You can transform back to your human form... But you'll get naked" Idril said, poking Suzanna's fur. "Unless you have some clothes. Which it looks like you don't. ", I commented, laying my head on my paws. "Yeah... So you better stay on this form..." Idril said sitting. "Yes, please stay in the form. No one wants to see that. ", I closed my eyes, feeling tired. Idril yawned and rolled on her back. "Who wants to take a nap? ", I asked them, standing up. I padded under a large tree and curled up, my fluffy tail covering my face. "Since I did not sleep well at night... I'm gonna take a nap" Idril said and lay under the same tree that Shijoku is sleeping. She curled up and closed her eyes.